Turning on an outdoor light fixture should give you light, but you may be unfortunate enough to hear the distinctive sound of a circuit breaker tripping and see all the lights on that circuit go out. If this suddenly happens without any increase in power usage, you need to check the light switch connected to the circuit to determine whether you may have a short somewhere along the wiring from the switch to the light. A short circuit allows more current than normal to flow and trips the breaker. Light switches can develop short circuits and trip a circuit breaker. Turn the circuit breaker off. Allow ten minutes for built-up charge to dissipate. Touch a metal object to remove any built-up static charge you have. Locate the light switch you want to test and unscrew the switch plate. Look at the switch wiring to see if any wiring or contact points are charred. There should be one wire coming from each terminal of the switch. 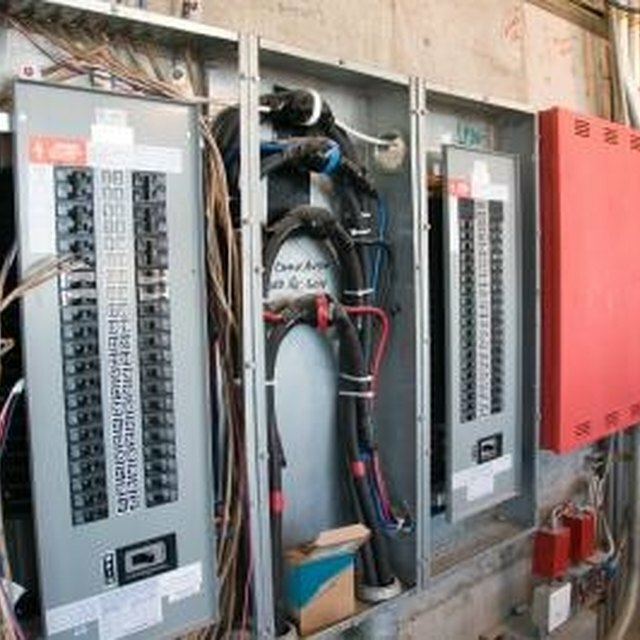 If this wiring has come loose or is touching the metal box instead of making contact with the switch terminal, a short circuit will result and overload the breaker. Replace the switch cover if everything looks as it should. Access the outside light fixture if possible and remove the light bulb. Unscrew the fixture cover and inspect the wiring and contact points as you did with the switch. If you see no problems here, replace the fixture. The problem is elsewhere along the circuit and you'll need a certified electrician to check it. Ensure the outside light switch is off and restore power to the circuit. Avoid using that light until you get the circuit checked and repaired. Always turn off power before working with electrical circuits.